I think you’d agree that it’s a good size niche with many long tailed keywords. The key to marketing online successfully is picking a proper niche market and promoting the proper product and/or service to that market. Notice the difference between “civil war map” with 1732 searches a month and “map of civil war” with 260 searches a month. I use a tool called Micro Niche Finder to dig up long tailed keywords with little competition. Different tools will give you different results. I don’t think there is a way to get an exact number since each search engine is different, however, the concept of digging up profitable niches using a keyword tool like Micro Niche Finder is accurate. For instance Micro Niche Finder tells me that ‘civil war map’ is searched on 33,720 times a month and there are 50,100 websites with that exact keyword phrase. Keep in mind that the number 33,720 includes any phrase that includes the words “civil” “war” and “map” in any order. Competing with 50,000 websites is quite a chore…not undoable, but you would really have to know what you’re doing to get on the front page of google. A better strategy is to look for a long tailed keyword with a search count of between 200 and 5000 a month for that phrase and is only present on a low number of websites….which in a way is relative to the monthly search count. Less than 10,000 is good, 500 to 2000 is even better and you can find yourself on page one with little effort. For instance, I used Micro Niche Finder to dig up this term “civil war battle maps” There are 2700 searches a month for that term and 2,910 websites that are indexed for that term. That means if I can get on page one of Google I get almost 3,000 eyes on my site each month. If I can convert 2% of those visits that would be 60 sales a month! Remember, there are only 3000 websites indexed with the term “civil war battle maps“. If you use some basic seo practices, write some articles, create a mini-net with free blogs and do some social networking you CAN get yourself on page one of Google. Now lets assume, you’ve done the seo, written articles, do some social bookmarketing, submit to directories and create a network of blogs with some articles…..it’s going to take some time to get ranked for the the term in question. So…..no it’s time to create a product. Let’s find a Civil War Battle Map and if you click on that link….you’ll find some civil war maps! Assuming you’ve decided on a special Map of the Civil War, let’s create a poster of it. Before you can do that you need to download the civil war map of your choice, but you have to know which format to use and you need some special software to view the image and start working with it. This software is free….but that’s all I’m going to tell you at this point. 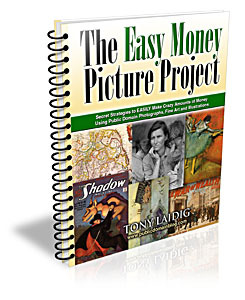 Tony Laidig, in his book, “The Easy Money Picture Project” gives specific details when it comes to working with public domain images, and if you take the information I’ve given you above along with Micro Niche Finder Pro and Tony’s Public Domain Image book you’ll be able to create a top notch product and begin making some public domain money! I forgot to mention, if you’d like to see how Micro Niche Finder works, click on the link and you can watch a video of the software digging up some long tailed keywords…no cost! 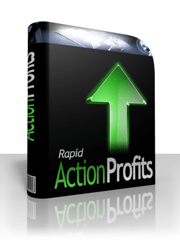 Ok I just handed you a niche which is statistically proven, given you a strategy for getting on page one of google and told you the exact tools to use in the entire process. What are you waiting for! Click those links, get your credit card out and get started. Once you have to the tools, you’ll have the ability to dig deep into the world of public domain images and in particular you can make a civil war battle map calender or poster!